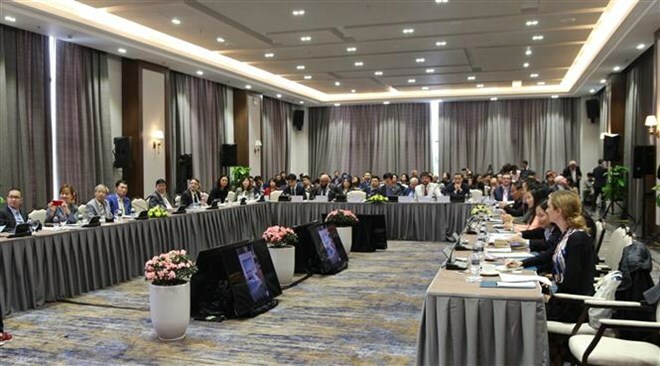 Quang Ninh (VNA) – The ASEAN Tourism Conference took place in Ha Long city in the northern province of Quang Ninh on January 16 as part of the ASEAN Tourism Forum (ATF 2019). Themed “Connecting Heritages for ASEAN Tourism Development in the Digital Age”, the conference opened up a platform for participants to share experience and initiatives in applying new technologies towards connecting and developing ASEAN heritage tourism. The event looks to enhance regional cooperation in preserving and promoting the values of the natural and cultural heritages in the bloc. Deputy Minister of Culture, Sports, and Tourism Le Quang Tung said that ASEAN member nations are expected to join hands to create a digital database to promote the world’s heritage system in ASEAN, as well as develop tourism by utilising the Internet of Things. He noted that ASEAN is home to many of the world’s natural and cultural heritage sites, which have made important contributions to tourism growth in each nation. The preservation and promotion of heritage values in the bloc will create a premise for sustainable tourism development, contributing to the common prosperity of member states, he added.